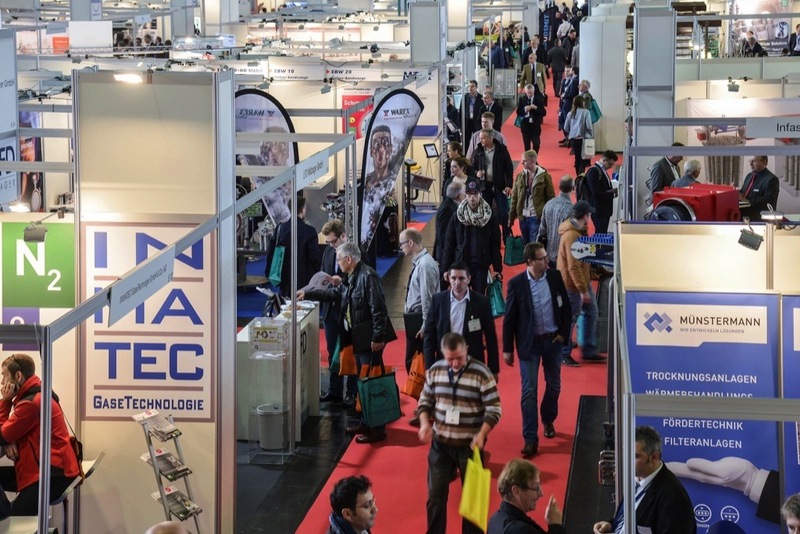 The expected more than 7000 visitors will find the latest solutions and trends in the fields of granulate, powder and bulk material technologies as well as recycling technologies at the trade fair duo Solids & Recycling-Technik Dortmund. On 7 and 8 November, Solids once again takes place alongside Recycling-Technik Dortmund. Organiser Easyfairs has registered over 500 exhibitors and expects more than 7000 visitors to attend. They can look forward to a host of new products and services as well as interesting facts from the respective sectors. Talks by experts from companies and research institutes accentuate an informative lecture programme. For example, Christopher Kuhlmann, legal adviser to REMEX Mineralstoff GmbH, will speak on the Federal Ordinance on Installations for Handling Substances Hazardous to Water (AwSV) and point out its effects on the building materials recycling sector: “Although the new AwSV is to be welcomed as something fundamentally positive, because it regulates the classification of waste in a uniform and explicit manner throughout Germany, it also creates uncertainties in its implementation.” And Professor Rainer Barnekow of the Ostwestfalen-Lippe University of Applied Sciences will talk about the improved suitability of powdered food for packaging. “These are just two examples from the broad and varied programme of talks offered at our InnovationCenters,” says Daniel Eisele, Group Event Director and Exhibition Manager at Easyfairs Deutschland GmbH. The topical orientation of the two days – “Food” and “Building Materials Recycling” on 7 November, and “Packaging Recycling” and “Commercial Waste Ordinance” on 8 November – also provides important reference points. But there will also be numerous new products to see and touch. For example, the Swedish company Vendi AB will present Sirius 990, a maintenance-friendly scraper made of wear-resistant polyurethane. And VKT, makers of technology for wear protection and bonding, will display Infinite Shield, its new wear protection solution for rotary valves. The Swiss company Lugaia Containment Solutions will exhibit its Safe-Port Bag for contamination-free transfer of OEB level 5 products, and UWT GmbH will bring its new vibrating limit switch, Mononivo®, to the show. “Furthermore, many other companies from around the region, the rest of Germany and the whole world will be presenting numerous innovative solutions and trends in the field of granulates, powders and bulk solids technologies, as well as recycling technologies,” promises Eisele. Visitors will once again experience a real highlight on the open-air grounds, where REMBE and IND EX® e.V. will be conducting highly impressive live explosions on both days. “Once you’ve experienced this, you’ll never forget it,” said an impressed visitor last time. Again in 2018, the international cooperation exchange “Matchmaking Recycling Technology” – created as a cooperative effort between the Enterprise Europe Network, Zenit GmbH and WFZruhr – will also take place at the shows: At the WFZruhr community stand in Hall 7, companies can look for and find each other for partnership-based collaboration. 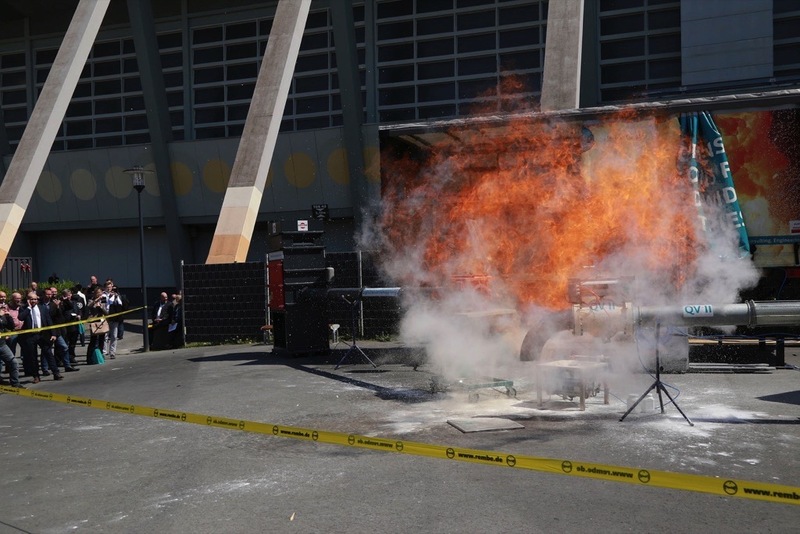 The two shows will be accompanied by the 4th German Fire and Explosion Protection Congress of IND EX® e.V. as well as the 8th URBAN MINING® Congress. Guided tours of the exhibition will also be available again on both show days, a feature that allows trade visitors to get very specific information from exhibitors. This year the tours will be led by Dr. Olaf Enger, management consultant for the aggregates industry. The evening event, “Networking on Ice” in the neighbouring ice sports centre, will bring the first day to a relaxed close. There, visitors and exhibitors can continue networking in a relaxed atmosphere or simply switch off from the excitement of the show.